There are few books I enjoy more than the ones that do something fresh. 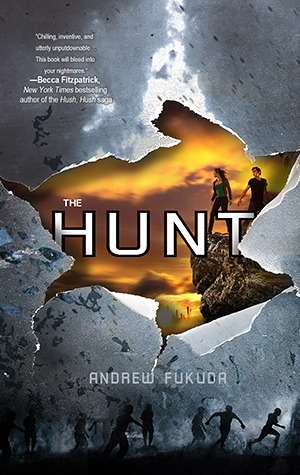 Despite the blurb on the cover for The Hunt comparing it to The Hunger Games, Andrew Fukuda’s debut is remarkably creative and engaging. 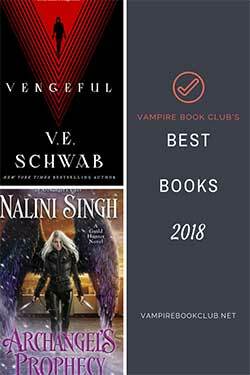 The concept, when distilled sounds direct: Vampires are now the dominant species on Earth. Humans—called hepers—have been labeled extinct. They aren’t. The government has a few kept in secret to raise morale. They’ll employ a lottery system to see which lucky people get the honor of hunting down these kept hepers. Make that more complicated by having the novel’s hero be human. He’s not one of the government’s hepers, but a human living in secret. He pretends to be a vampire (in the novel always just called “people”). He hides emotion. He shaves the hair from his arms, douses himself in hand sanitizer and the like. He takes on the tics of the vampires—neck cracking and wrist scratching. He fakes it. It’s worked, too. Only now there is going to be another heper hunt and he’s been picked to hunt down and kill his kind. What elevates this novel for me is the brilliant way Fukuda makes his protagonist see himself and the world. He lives by these rules to fake being a vampire, to survive. He hates the vampires, but at the same time he’s been indoctrinated into their beliefs. Even when he sees the hepers kept in a secluded dome, he doesn’t feel immediate sympathy for them. As a matter of fact, he doesn’t equate them with himself at all. He’s free, a survivor. The vampires don’t use names, and we don’t learn the protagonist’s name until we’re far into the novel. There’s this slow, steady reveal of who the main character really is that drives the connection here. Additionally, the plot throws enough curve balls to keep you surprised. I thought I had a couple key points and character motivations figured out. One of the few times I enjoy being wrong. 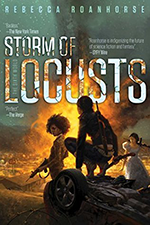 While the start is a little slow plot-wise, the writing is spry and the story is an undeniable page-turner. The only reason this book didn’t garner five stars from me is I found the romance angle weak. I didn’t really see any reason why the main character was infatuated with his love interest. That arc wasn’t as clear to me, and made me question some of his choices. However, I loved the writing and will make a point to start the sequel The Prey quickly. Enjoyed this story too. I heard that the next one is even better. Can’t wait to read The Prey. I’ve read mixed reviews on this novel but I think I’m definitely going to have to give it a read, it sounds like an intriguing plot. Dang. You make me wish I would have given this one another chance. I did the audio book, and I think it was the narrator that just did not get me engaged. I was a little bored, too, but I think what you say is true about the main character. Experiencing life through his eyes was interesting and terrifying. It may be one that works better in print than it does on audio. That said, it takes a bit to get going, but once he is selected for the hunt things pick up.